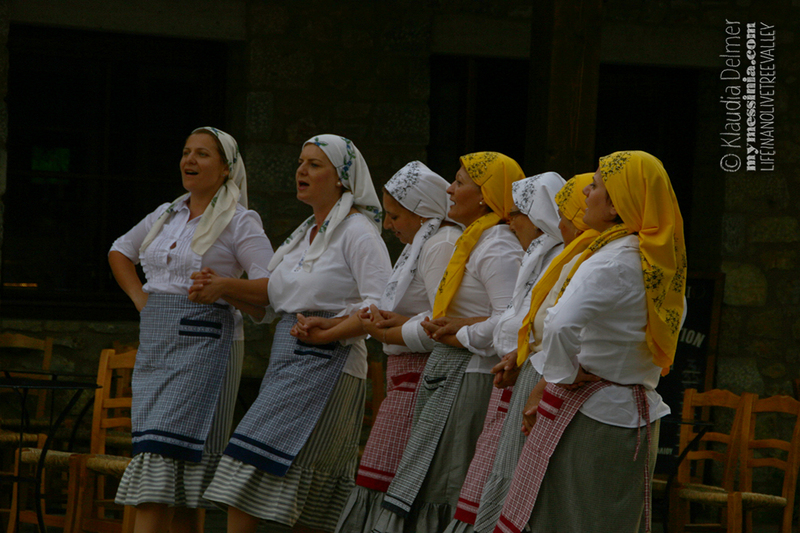 In the old days, with no other distractions such as TV or a radio, a common practice women had was to sing as they prepared the food. Songs kept them company and the more women were in the kitchen the more singing was going on. Music and lyrics are innate love of the Greek people and the size of the Greek song anthology is mind blowing...and it is an anthology of music of importance. 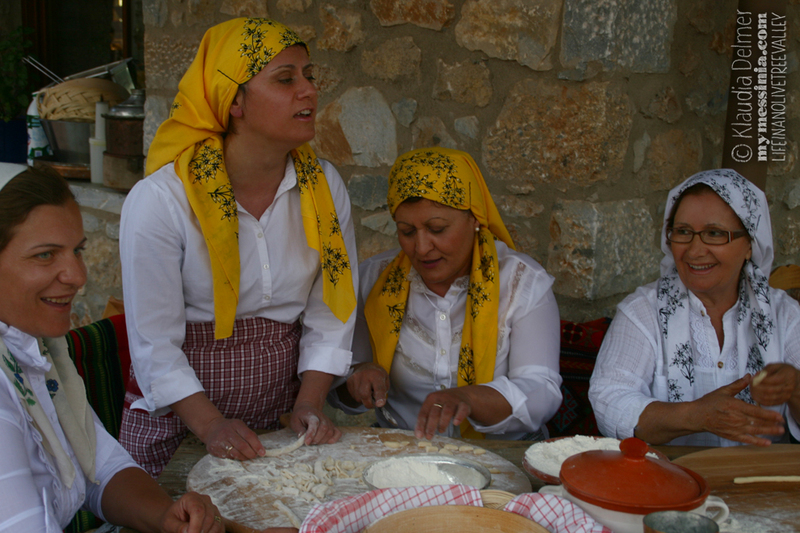 In a small village of Glyfada, counting only 200 inhabitants, which is situated in Messinia in the Peloponnese region, there is a group of women (Gogo, Katerina, Georgia, Emilia, Dina, Maria and Maria...) who besides being neighbors are also very good friends and who besides being very food friends are also very good singers and who besides being very good singers care about the traditions deeply enough to recreate this custom in a form of a very special event. 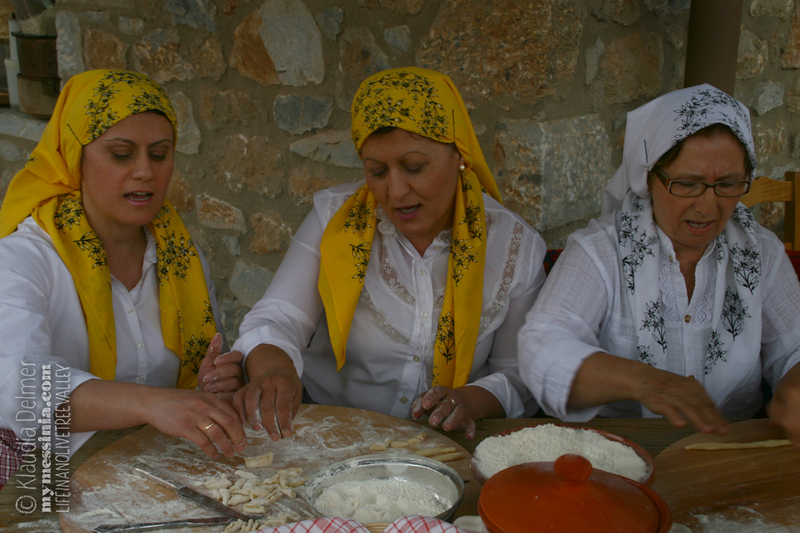 As they sing they prepare a simple yet very tasteful Messinian dish called "boukies" which literally means "little bites". 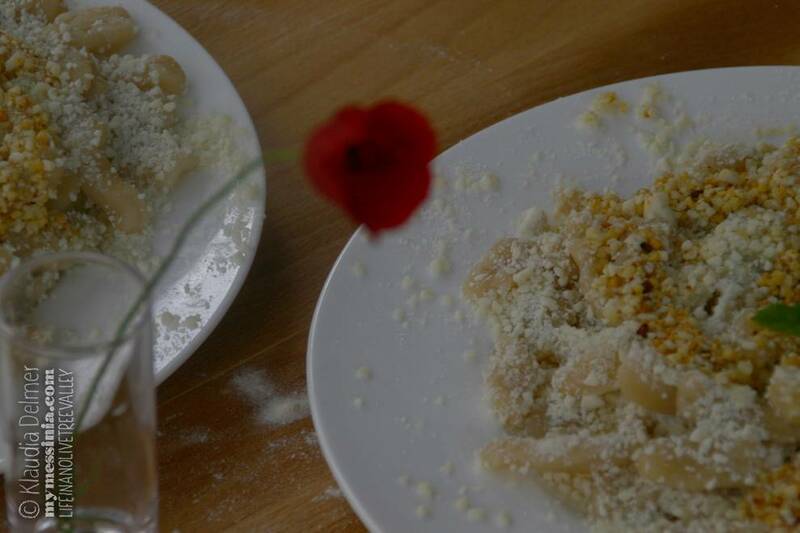 It is a pasta dish which resembles the Italian gnocchi but it is prepared only with the use of flour, milk, egg and olive oil. Beat the eggs. 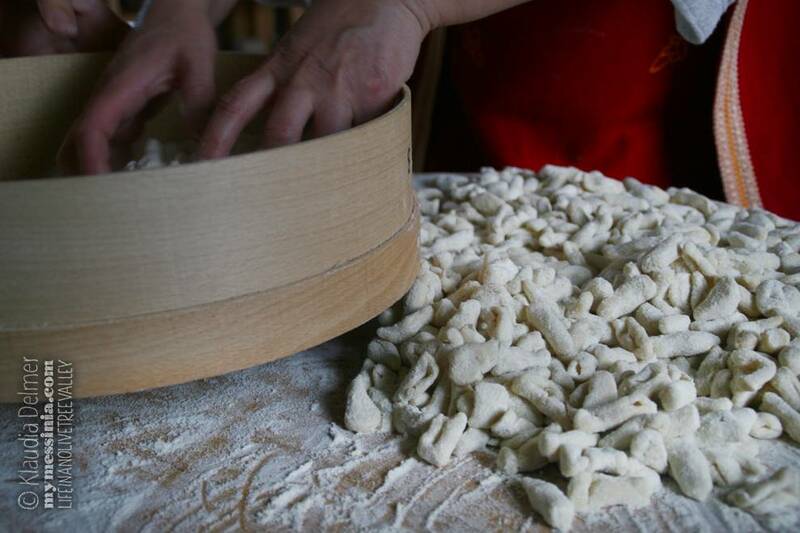 Pour 1 kg of flour into a bowl and add beaten eggs, milk and water. 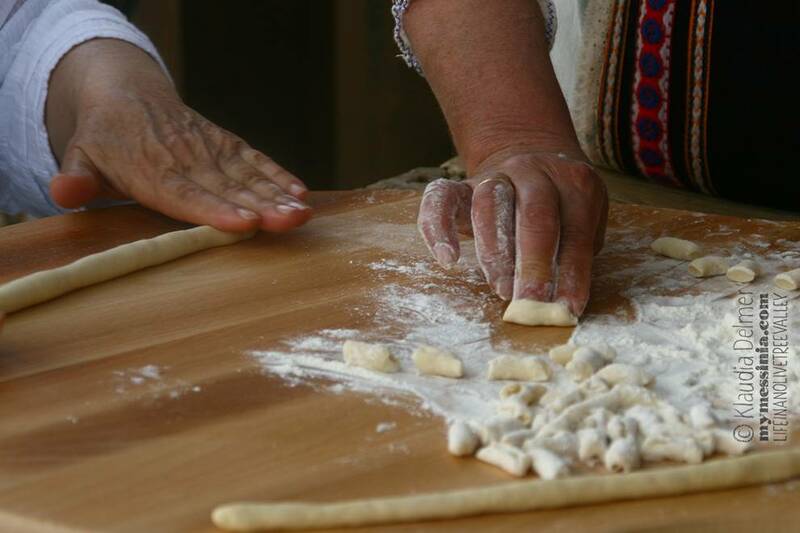 Once the dough is ready rub your hand with olive oil and start making long thin sticks by rolling the pieces of dough. * Myzithra or Mizythra is a traditional unpasteurised Greek cheese made from the whey of sheep's, goats or cow's milk cheeses. 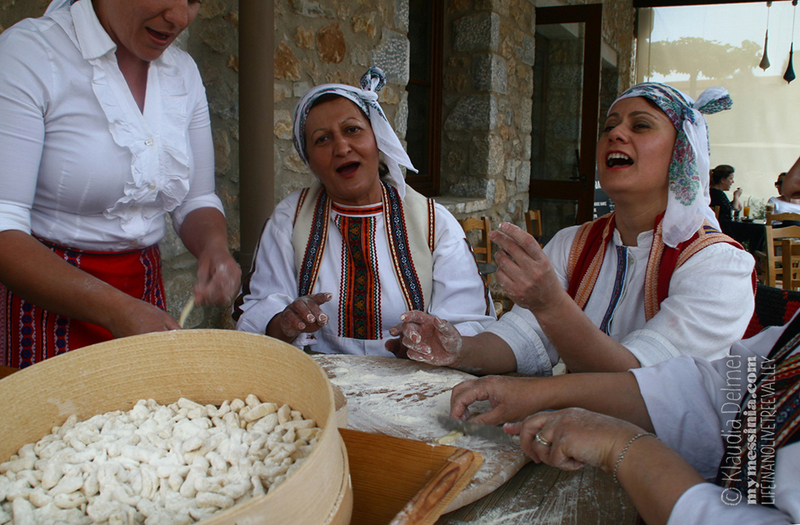 It has been made in Greece for thousands of years and is believed to be the ancestor of all Greek whey cheeses. 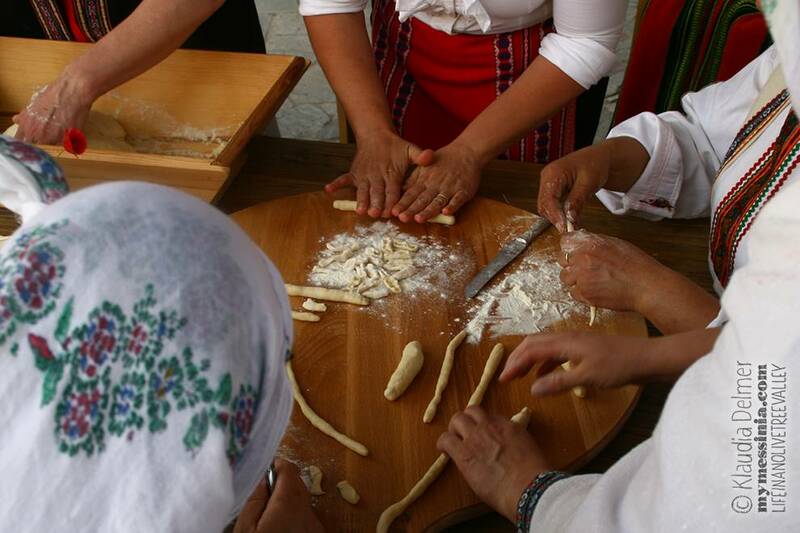 ** Do not forget to sing as you cook and dance after the meal!! !